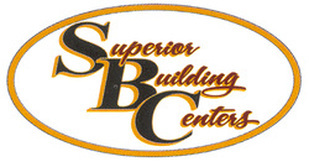 Superior Building Centers / Brenton Buildings - Monona Chamber & Economic Development, Inc.
We look forward to assisting you with your upcoming projects, and would appreciate the opportunity to provide you with a free competitive bid. Spec Home in Monona's Gordon Estates subdivision. Overlooking & accessible to Monona Butterfly Gardens & Trails. Short walk to MFL MarMac school, Bulldog Child Care & Learning Center, Family Aquatic Center & other amenities. Call Brent at 563-539-4450 to build your dream home in this dream neighborhood. From concept to completion, every step of a project is handled by our team who self-performs general construction and subcontracts electrical, plumbing and concrete packages. Our company and employees take pride in building to-of-the-line projects for the future of your operation. Brenton Buildings offers turn-key construction, including design and subcontracting. Dairy Free-stalls & Beef Confinements are Brenton Buildings' specialty, from 50-cow expansions to multi-million dollar facilities. Shops & Machine Sheds are at the heart of a farmer's business. Please take a look at our website's project pages to see some of the projects we have successfully completed. If you're looking to expand your business, Brenton Buildings has the experience and know-how to create the most effective commercial space for you. Whether you need superior building products at the best prices or a professional builder's help to design-build your agricultural, small commercial or residential structures . . .